I grew up in a small rural town called Concord in Jackson County, Michigan. As with many small towns, I was fortunate to be surrounded by close friends and family who are just as close today as they were 30 years ago. After high school, I obtained a Bachelor’s of Science from Central Michigan University and subsequently earned my Doctorate of Chiropractic from Palmer College of Chiropractic in Davenport, Iowa. During chiropractic school, I was lucky enough to have met the love of my life, Julie, who would later become my wife and an amazing mother to our two incredible kids, Laila and Hudson. Julie, who was born and raised in Cheboygan, MI, had fortunately shared my desire to live and raise a family in a small Northern MI town. After many months of searching, we decided to make Boyne City our home. Since opening Moskal Chiropractic in 2010, this business has become so much more than just “an office” to me. Not only does chiropractic allow me to help people feel and function better, but getting to know so many great people on a personal level and talking and laughing with them is what I truly love the most. So many patients have become lifelong friends over the years, some of whom have passed, and I will never forget, but I always have and always will treat every person who walks through our door like family. In mid-2017 my wife and I started another business called The Purple Beet. After having two kids and both of us working full-time, we found it increasingly hard to maintain our healthy lifestyles which included eating nutritious and wholesome food. 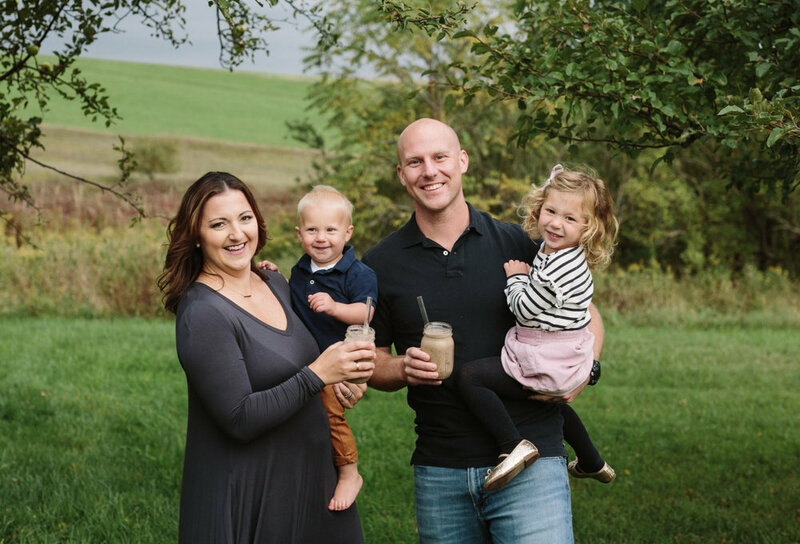 Julie’s idea to pre-package smoothie ingredients which could be easily blended by adding only a cup of liquid, later blossomed into an amazing business which we now also run out of Boyne City. If you’d like to learn more about The Purple Beet, check out our website. Outside of the office, we both share a passion for staying active. Whether it is playing basketball at the high school, working out in our garage gym, or participating in golf, skiing, hockey, biking or running, we love to move! But most of all, our favorite time is the time spent with friends and family. Thank you for your interest in chiropractic, our office, and the family behind the scenes. We look forward to meeting you!